Visit Santa Fe this winter, and you’ll find an amazing variety of exquisite restaurants at your fingertips. 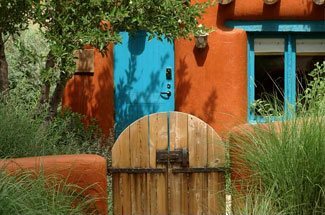 In recent years, Santa Fe has earned the reputation of being a top foodie destination, known for its innovative flavors and world-class chefs. There are over 200 restaurants for you to explore, ranging from traditional New Mexican cuisine featuring New Mexico’s prized chile’s and contemporary fine dining, to the highly popular farm to table restaurants featuring fresh, locally sourced ingredients. There is no doubt that a culinary journey through Santa Fe should be on everyone’s travel list. However, there’s another side to Santa Fe’s culinary scene that doesn’t always get as much attention, but it just as sweet. 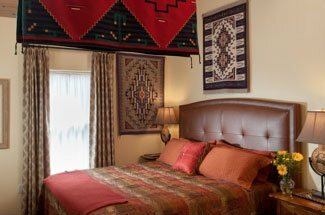 Stay at our luxury Santa Fe bed and breakfast this winter, and we’ll help you discover the sweeter side of Santa Fe cuisine. While we still think an important part of a visit to Santa Fe is a sampling of our delicious and fiery chiles found in a great variety of dishes, we’d be remiss to mention the many bakeries and chocolatiers that sweeten up the often spicy Santa Fe cuisine. In fact, you can even find the perfect combination of sweet and spicy in chocolate chiles if you feel so inclined. So, whether you’re out for a day of shopping and are looking for a sweet break, or whether you’re looking for the perfect way to cap off your evening, sampling the delectable sweets around Santa Fe will be the perfect compliment to your day. The BODY Cafe, a vegan-friendly dessert destination that is as healthy as possible, making it the perfect place for an afternoon treat. When it gets chilly outside, opt for a cup of hot chocolate at Kakawa Chocolate House, which has been voted one of the best places to drink authentic hot chocolate. Pick up some delicious treats to go while there, or stop in to local legend C.C. 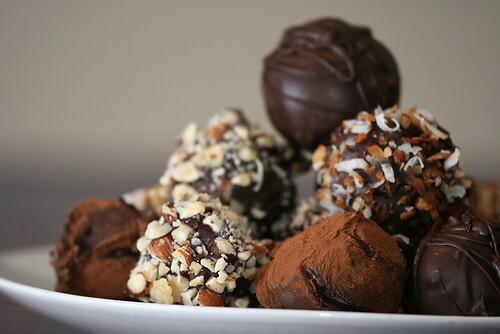 Higgins for some exotic and delicious truffles and other treats, many featuring fantastic local flavors such as the chile and pinon nuts. If the glutinous shelves of products typically found at bakeries isn’t your thing, then head to Revolution Bakery, where everything is not only 100% gluten free, but is incredibly delicious as well, as evidenced by the frequent lines outside of this popular bakery. When in Santa Fe, there really isn’t a bad time to indulge a little, and treat yourself to some of the artisinal goods made here. 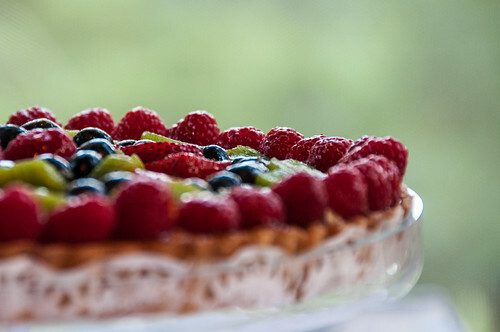 Book your room with us this winter, and indulge a little in the Sweeter side of Santa Fe cuisine. Copyright Four Kachinas Inn 2019. Bed and Breakfast Website Design and Hotel Marketing by Q4Launch. All Rights Reserved.